Small businesses are lean shops because they have to be; they are generally buffeted by economies of scale and scope that advantage their larger brethren. Most small business owners are chief cooks and bottle washers – from being listed on business cards (the fancier end) to ensuring that the paychecks go out on time (the other end). 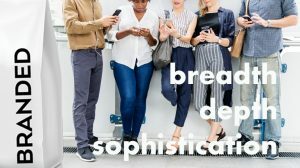 While some small businesses may have the resources to engage with consumers on multiple social media platforms, it is better to do fewer things excellently than many things mediocrely. And a misstep on social media, like the internet, lives forever. 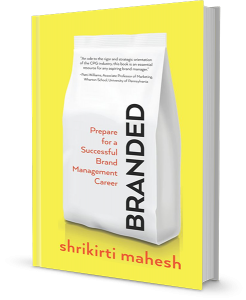 So, if you have a digital marketing manager who knows what she’s doing and has the support staff not only to post relevant, engaging content but also respond to consumers in an appropriate, on-brand tone, go for all the social media platforms you’d like. 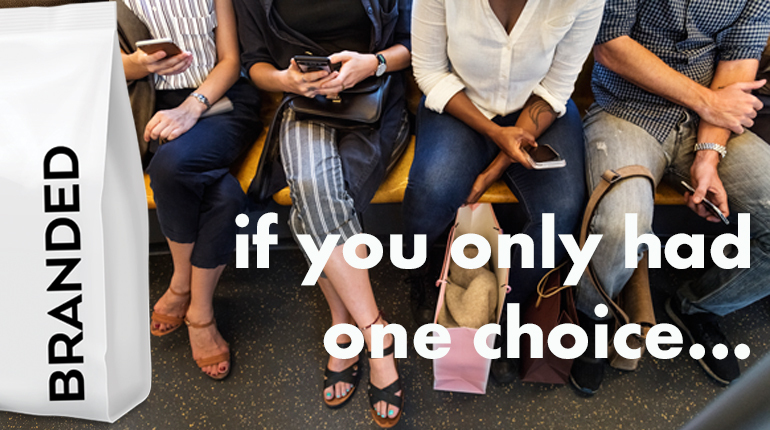 However, if your company and/or brand, has only one person assigned to digital marketing, then it would be better to invest in only one social media platform. So, which one would that be? Instagram may be this year’s darling, with enviable growth and youngsters flocking to it in droves. Or maybe Twitter, where big brands use mirth and hot takes to win and lose in seemingly equal measure. 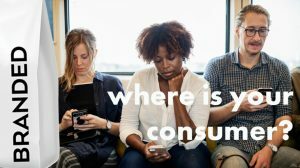 The answer comes down to one main factor: Where are your consumers? 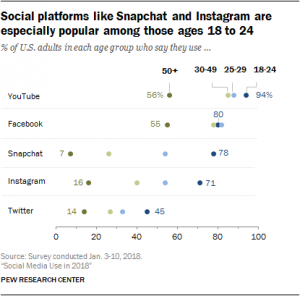 As you can see, the majority of Instagram’s 110 million active users[ii] are in the 18-29 age group, equating to about 70 million potential active consumers. 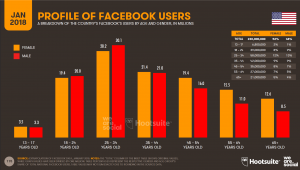 However, if you’re looking to reach a wider consumer age set, there’s only one answer: Facebook. Facebook has suffered multiple hacks and security setbacks in the past year, and there doesn’t seem to be an end in sight. So, it may seem counterintuitive to recommend using the very platform most under attack from nefarious sources. 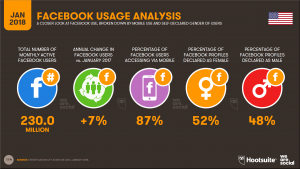 It’s also true that due to Facebook being the largest platform, it is also the biggest security target. Certainly, there are intellectual heavyweights correctly warning that Facebook isn’t doing things fast enough to protect its users. 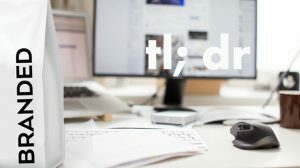 The EU’s GDPR legislation is a necessary first step in giving users better control of their internet data, and given the GDPR’s broad scope (it requires all organizations established within the EU to protect its users’ data, regardless of said users’ geographical location), major websites had to revamp their privacy policies. To be clear, there may be instances where Instagram makes more sense as the sole/main social media platform — from a branding perspective — than Facebook. Insta has a better interface to showcase a brand’s style. So, if your business is in art, cosmetics, interior design etc, than Insta could allow you to showcase your brand and its products. 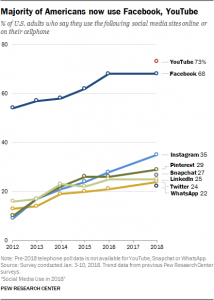 Looking at the above chart, the “Use Facebook” column has the highest numbers across all major platforms (once again, we’re excluding YouTube), which reinforces its importance. So, across purely social media platforms for business use, Facebook has size, breadth, and sophistication on its side. We’ve covered the size (i.e. reach) and breadth (i.e. 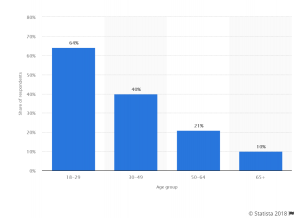 age spread), but sophistication may be Facebook’s ace: With the ability to target by age, gender, geographical area, connections, custom audiences, hobbies/interests etc., Facebook has a suite of analytical tools that can create and optimize any ad campaign you want to run. In many ways, of all the platforms, Facebook has had the most time to develop their ad business and it is probably most deeply embedded into its users lives. 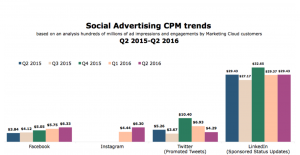 While you may note that Instagram’s CPMs are lower than that of Facebook’s, the same report notes that Facebook’s average CTR is nine times higher than Instagram’s. So, we want to look at a combination of efficiency metrics when picking a social media platform. Beyond advertising, the other crucial aspect of picking a social media platform is the level of engagement with consumers – not only with ads, but engagement in terms of interactions with consumers. Your website may have customer service contact information, but consumers who have questions or complaints have come to expect that they should be able to contact your business via social media. Facebook is an easy platform to address their issues. One of the most depressing things to see on a brand page is consumers posting questions that go ignored and unanswered; if a brand is only pushing out content without any direct interaction with consumers, it is only fulfilling a portion of its potential. So regardless whether you have one person or ten managing your Facebook page, creating and posting content is just as important as answering consumers’ questions – all the better if you can do it with humor and directness. 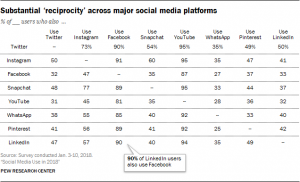 [i] Source: Hootsuite, Digital in 2018 in North America. Link here.